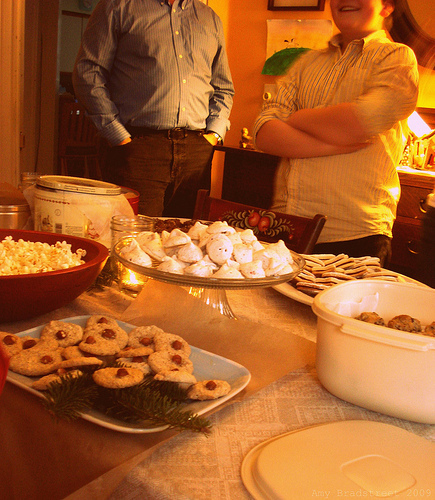 Today we attended our second annual cookie swap party at our dear friend, Monica's home. 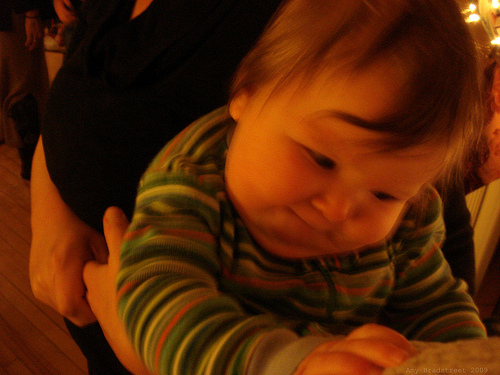 It's a simple affair with plenty of kids, babies on hips and lots of delicious cookies. Monica's home is always so joyful, warm and welcoming and it's a pleasure to be there. 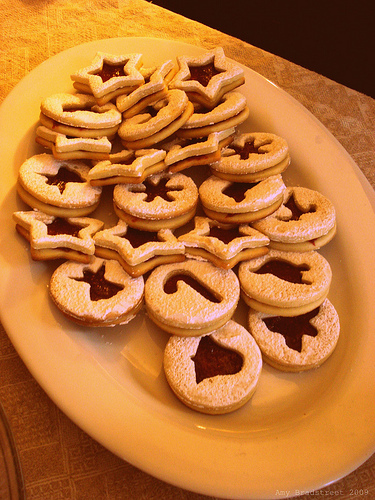 And it doesn't hurt that she makes one of my very favorite Yule cookies. 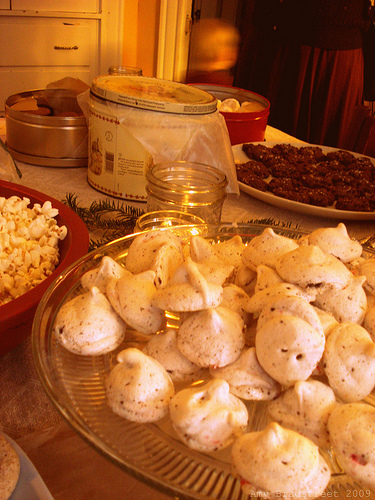 Monica's Linzer cookies and meringues. 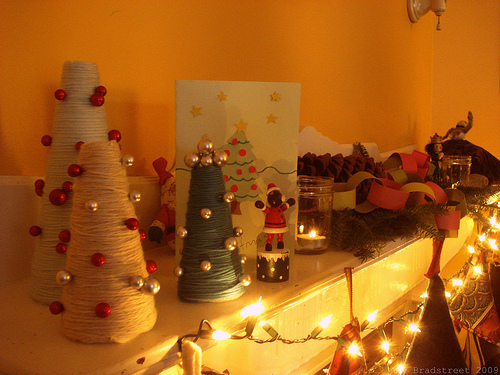 Her home contains many beautiful corners, filled with all four of her childrens' art, hers or husband, John's creations, festive or otherwise. 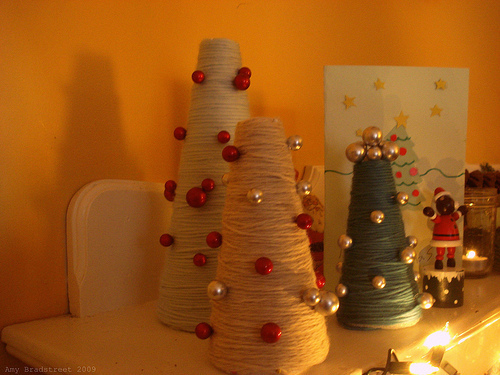 These spool trees Monica made are so charming. 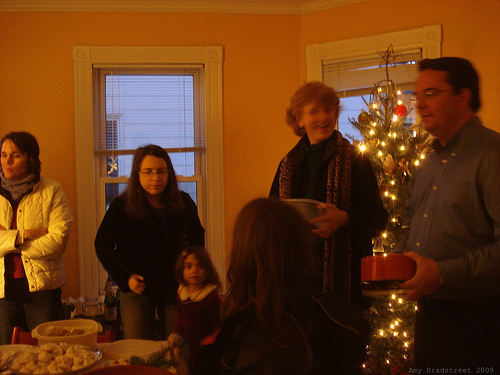 So while the bigger kids ran around outside playing tag, the middle ones played, a couple littles clung to mamas, and the baby, well, we all got turns with the baby, the adults shared holiday news, stories about relatives, and general things of interest, like books, trips and survival stories, you know, the usual. 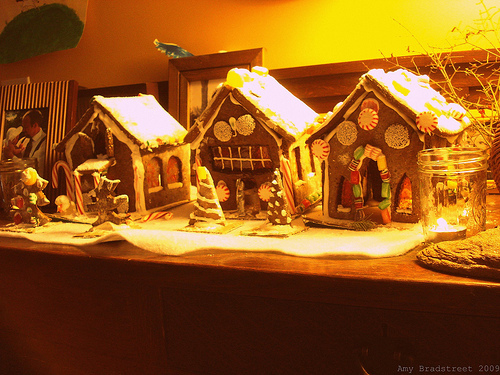 The gingerbread houses have inspired us to make greater efforts in the whole gingerbread-house-making-tradition. I think Alex has already made plans--something about a chimney suitable for a candle. 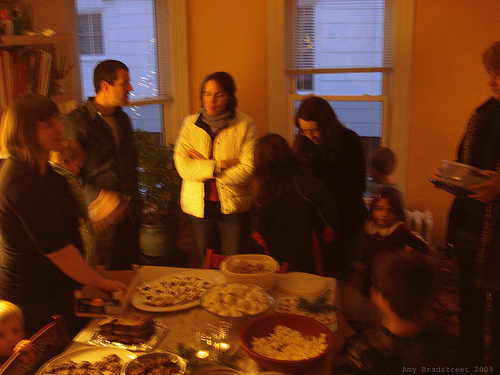 As always at Yule, it's wonderful to be surrounded by that other family, the one we've built through the sharing of joys and sorrows and of course...cookies. funny about the gingerbread. we had house but they fell to pieces. 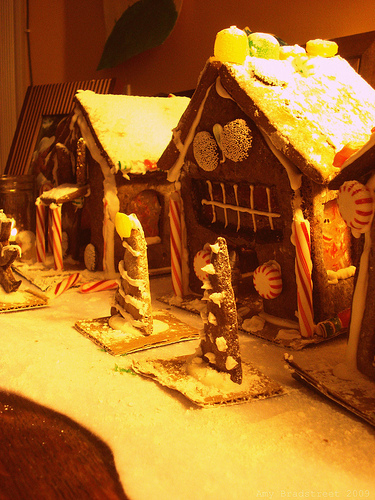 lol ended up with a gingerbread shanty town. still very good eats! looks like it was a fun cookie exchange.